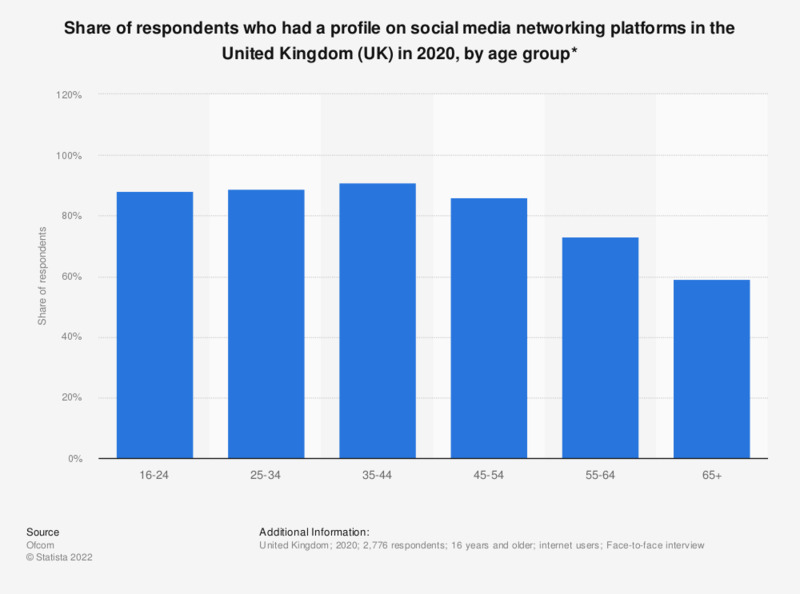 This statistic displays the results of a survey among internet users regarding the creation of social networking profiles in the United Kingdom (UK) in 2017, by age group. In 2017, it was found that 96 percent of responding internet users aged 25 to 34 years reported having a profile on social media sites or apps, which was the largest proportion across all surveyed age groups. During the survey wave in 2015, 71 percent of UK respondents reported doing some kind of social media activity at least weekly. "I'd now like to ask you some questions about social media - so using websites or apps like Facebook, Twitter, Instagram, SnapChat and YouTube. Do you have a social media profile or account on any sites or apps?" single coded. Statistics on "Women in social media and e-commerce in the United Kingdom (UK)"
Do you use an online social network for instance to share pictures videos, movies, etc?